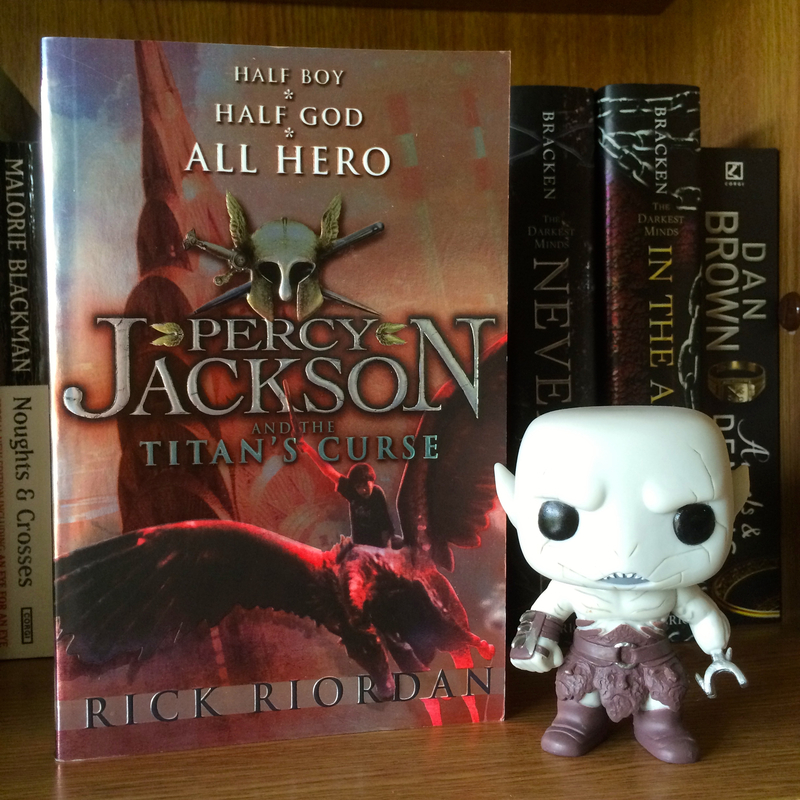 “‘Percy Jackson and the Titan’s Curse’ is the third book in the ‘Percy Jackson and the Olympians’ series, following a number of half-bloods (half-human, half-Greek God) on their adventures to save Olympus – why their God parents are unable to do so is beyond my understanding. This volume sees Percy, Thalia and Annabeth go in search of two unassuming half-bloods, Bianca and Nico. When Annabeth gets captured, the other half-bloods, along with Zoe Nightshade and the hunters, go in search the Goddess Artemis (I was confused by this point). I definitely believe that I would have enjoyed this book more had I read it the old fashioned way. Not only did I keep missing key pieces of information, but I also didn’t care for the narrator, or his interpretation of one of the main characters, Zoe. Lesson learnt.